With 176 stores and more than 20,000 employees in the UK and ROI, Debenhams have been searching for a workforce management solution to help them free up time for store management in order to improve their customers’ experiences. Ross Clemmow, Retail Director at Debenhams said: “I’m delighted to confirm that we’ve chosen Quinyx as our supplier for a workforce management solution. This is in recognition of a great product, company focus and culture. We’re really excited to move forward with the team at Quinyx and would like to say a big thanks to the entire team for helping get us to this point." Quinyx Founder and CEO, Erik Fjellborg, said it was Quinyx’ comprehensive SaaS offering and mobile-first approach which secured the deal ahead of established vendors and traditional on-premise solutions. “We’re delighted to announce this agreement with Debenhams and are excited to be bringing them a modern, cloud-based solution to empower their growth,” he said. “They’ve chosen to work with us because they perceive Quinyx as the most comprehensive, true SaaS (software as a service) offering on the market. They want to drive employee engagement and improve communication through mobile. The Quinyx app will be fundamental in enabling them to do this and in executing their mobile app strategy. 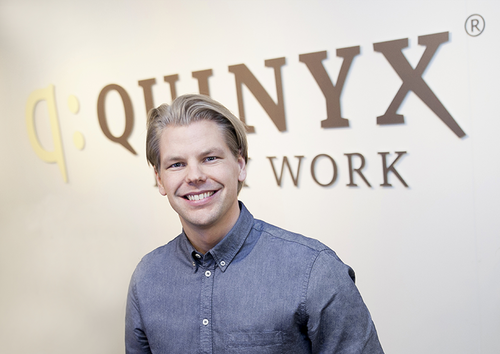 Founded in 2005 by Erik Fjellborg, CEO, Quinyx today has about 220,000 users and enables 500+ customers around the world to enjoy work, including brands like Burger King, Decathlon, Rituals Cosmetics, SSP, Humana and London City Airport. Find out more at www.quinyx.com. Debenhams has been investing in British design for 21 years through its exclusive Designers at Debenhams portfolio of brands. Current designers include Abigail Ahern, Savannah Miller, Ted Baker, Jeff Banks, Jasper Conran, FrostFrench, Patrick Grant, Henry Holland, Ben de Lisi, Julien Macdonald, Jenny Packham, Justin Thornton and Thea Bregazzi, Giles Deacon, Aliza Reger, John Rocha, Ashley Thomas and Matthew Williamson. This press release was distributed by ResponseSource Press Release Wire on behalf of Quinyx in the following categories: Business & Finance, Retail & Fashion, Computing & Telecoms, for more information visit https://pressreleasewire.responsesource.com/about.